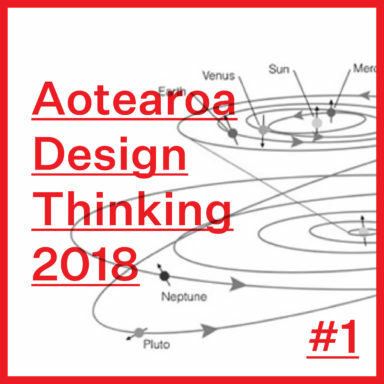 Welcome to Hot New Things 2018 – an opportunity to profile a selection of the top design graduates coming out of our tertiary institutions. 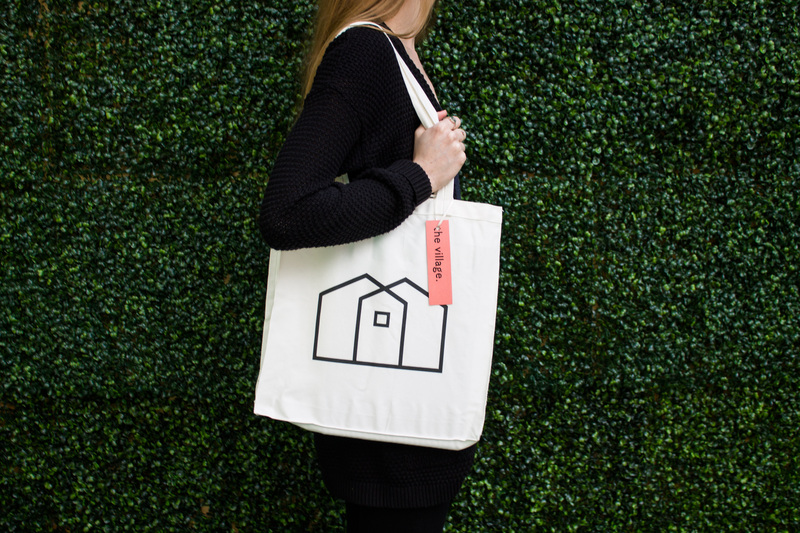 This week, we speak with Naomi Hadfield from Media Design School. You recently completed your full time studies, can you tell us what your final year’s project was about and what you focussed on? 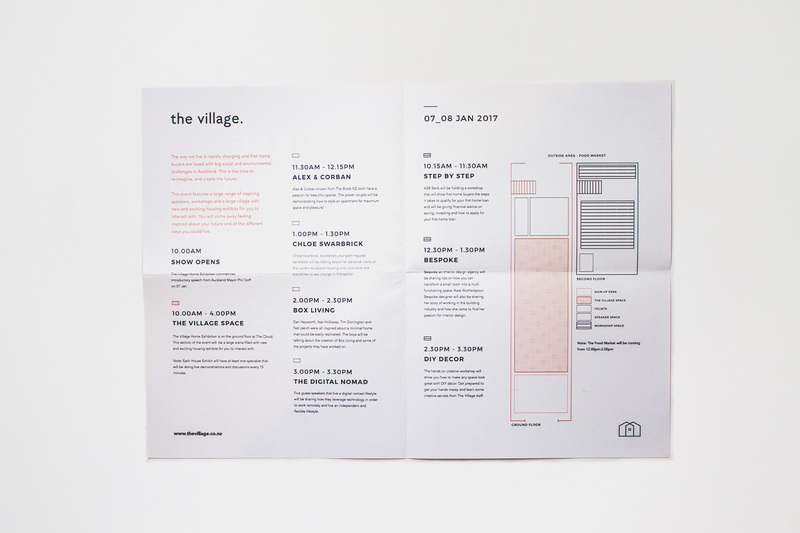 My final project, The Village, is an event concept created for first home buyers in Auckland city. 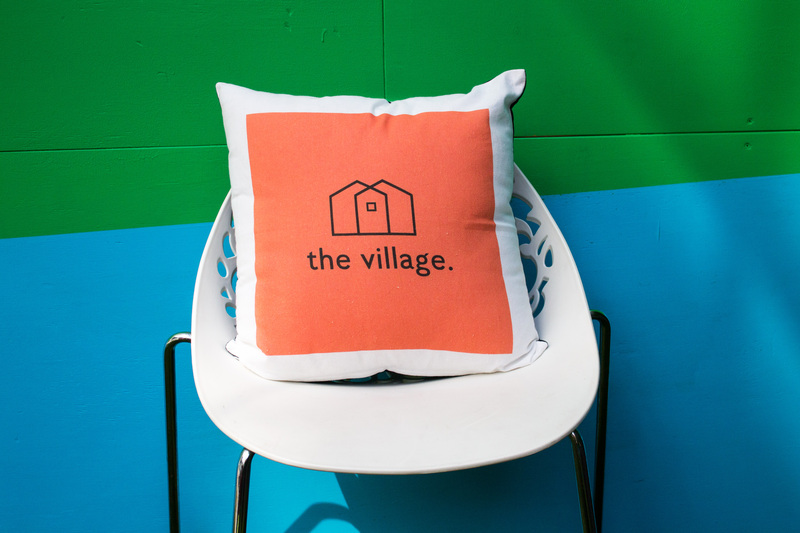 The event offers workshops, seminars and exhibits to educate this demographic about avoiding rookie blunders and revealing recession-proof lessons to guarantee home buying success. 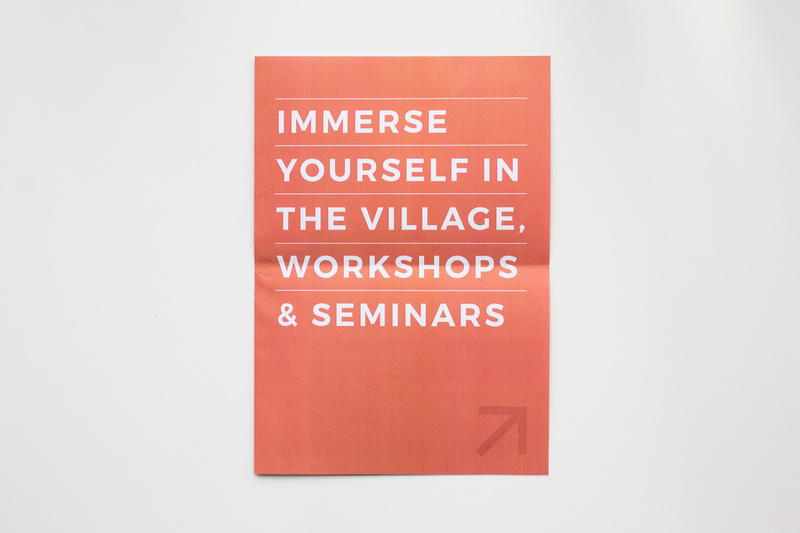 Compromised of an event programme, website, marketing campaign and booklet the event collateral uses provoking language and bold colours to engage with this audience. 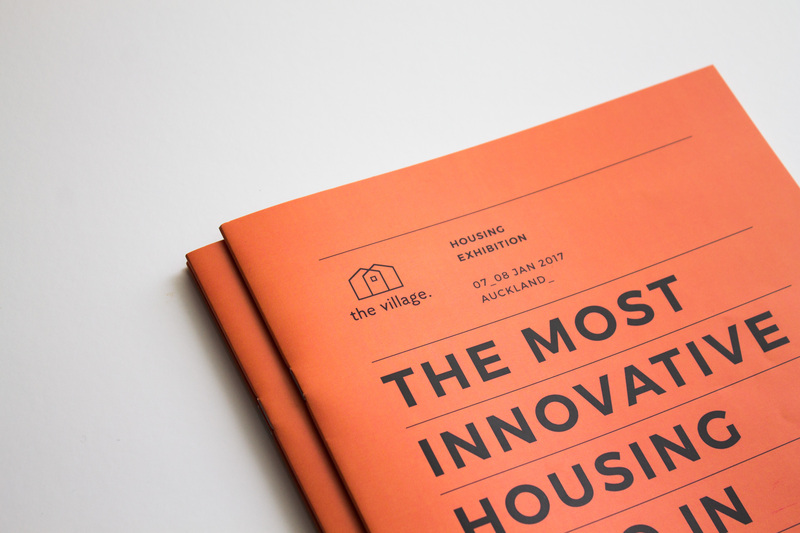 I focused on conducting an extensive amount of research into various topics which included conducting workshops with first home buyers to understand their needs and coming up with a core set of principles The Village should follow, to give this audience the most relevant information about being a successful home owner in such a competitive and saturated market. The most fascinating discoveries were made when synthesising the user interviews I conducted with my end-users. One of my key discoveries was understanding that most first home buyers have to think outside of the box to get their foot into the property market. 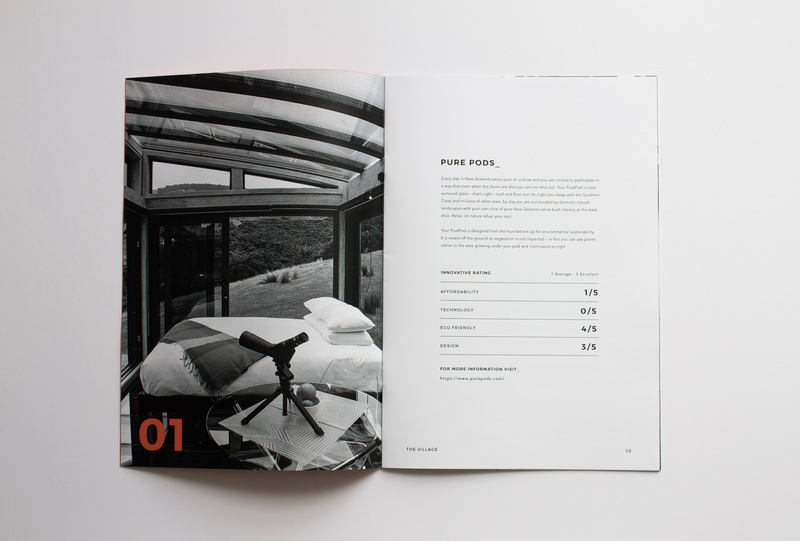 Things such a co-ownership, buying out of Auckland, small home living and shared space living were all new ways of thinking that absolutely fascinated me. 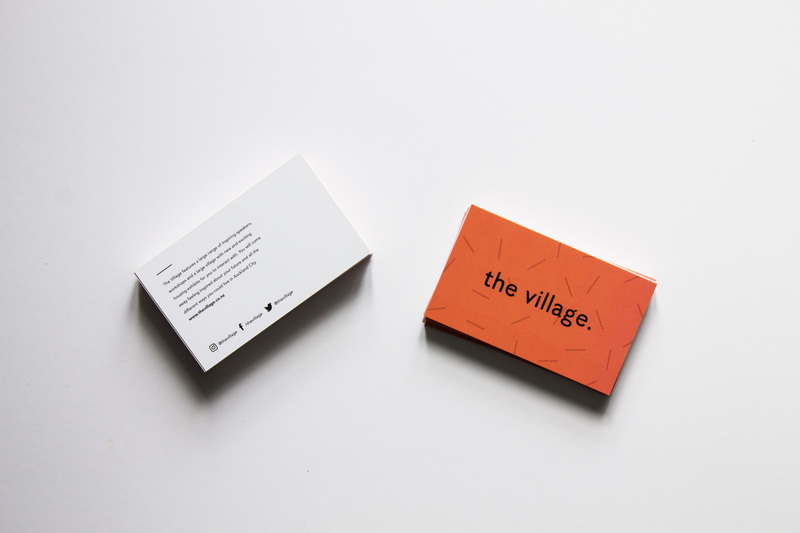 That’s something I wanted The Village to encompass through the exhibits and workshops. I wanted all first home buyers to have inside knowledge of how other property owners secured their first home. 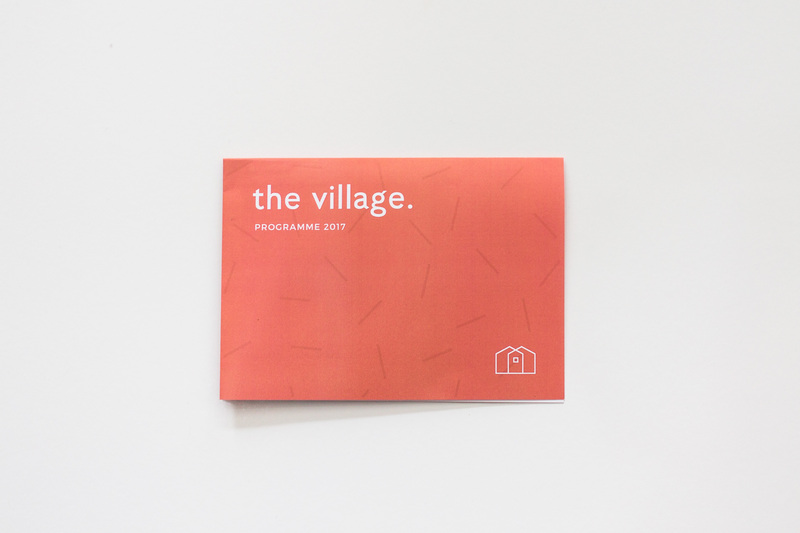 Once I had a proof of concept for The Village, I came up with an event programme and shared it with my audience through a focus group to determine how this demographic would respond to the brand and what the event would offer. Hands down my favourite moment was seeing their faces light up when they said they wished an event existed like this in Auckland! Validating assumptions by conducting customer research is something I feel passionately about and think is an integral part of the design process that sometimes gets left out. Sometimes it’s easy to get lost in the design process and it’s easy to feel overwhelmed by the sheer amount of work you need produce in your final project. I found myself having to take a step back on work and revaluate the direction I was heading in which was painful at the time, but if I didn’t do that I wouldn’t have come to a more concise and consolidated output that would speak to my end-users. I chose to study at Media Design School because of their close ties to the industry. I had the opportunity to work on real life briefs and that’s something other institutions can’t offer their student’s. The tutors are committed to seeing you excel and preparing you for the industry standards that are expected of you as a graduate designer. Looking back on my degree, I achieved everything I set out to do and have created a strong portfolio that has given me a competitive advantage against other graduates. What are you working on now and how did your studies prepare you for it? 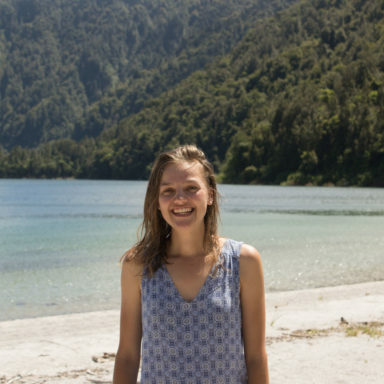 I’ve landed my first job as a UX designer at Air New Zealand, I’m pretty fortunate! I primarily work in an agile product team. I get to conduct user testing on new initiatives and create designs/prototypes that will optimize the user experience and increase product conversion. It’s a lot of responsibility but I’m absolutely loving it. Studying at Media Design School helped to think critically and taught me the basic fundamentals of UX design, so I was certainly able to hit the ground running. Where do you go to find inspiration (websites, resources, designers, etc.)? I get inspiration from all sorts of places. I love watching TED talks, reading blogs on Medium and having a scroll through Pinterest or Behance for visual inspiration. One of my favourite authors is Don Norman. His book ‘The Design of Future Things’ is a must read if you are fascinated about the implications design can have on human psychology. I’ve learnt so much in my first year of work as a UX designer and I’m sure next year will be another huge learning curve. Who knows what the future brings, I can’t wait to find out!